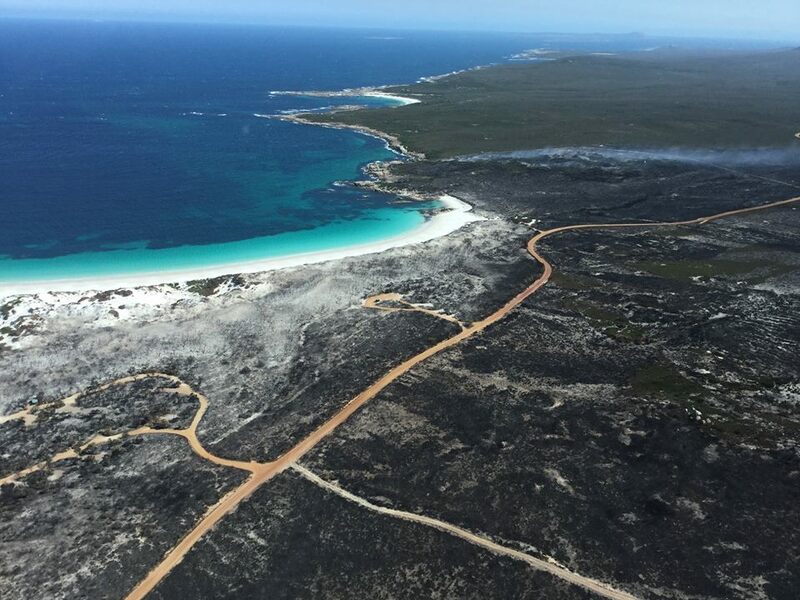 Lightning started several bushfires in Cape Arid National Park on the south coast of Western Australia during the weekend. The majority of the estimated 140 Western Ground Parrots still existing in the wild are found in this remote national park. 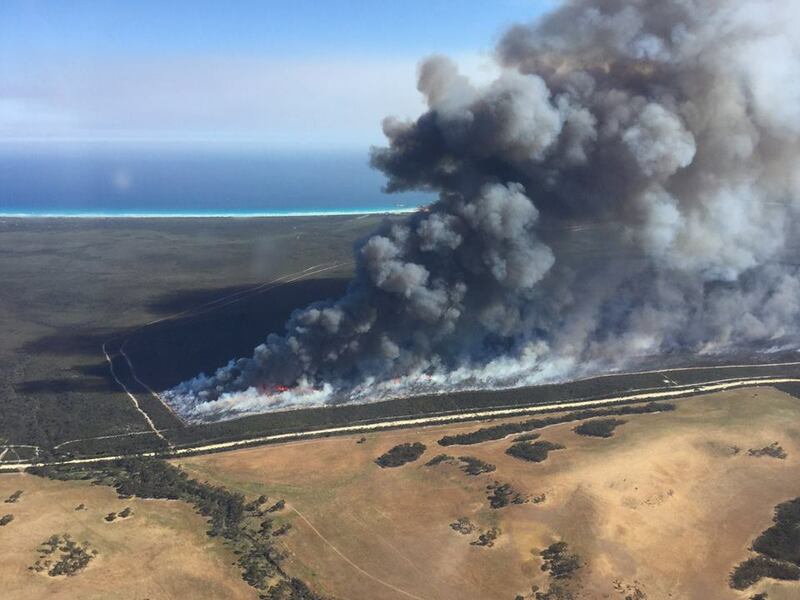 As of Wednesday morning approximately 17,000 hectares of bushland have been burned. 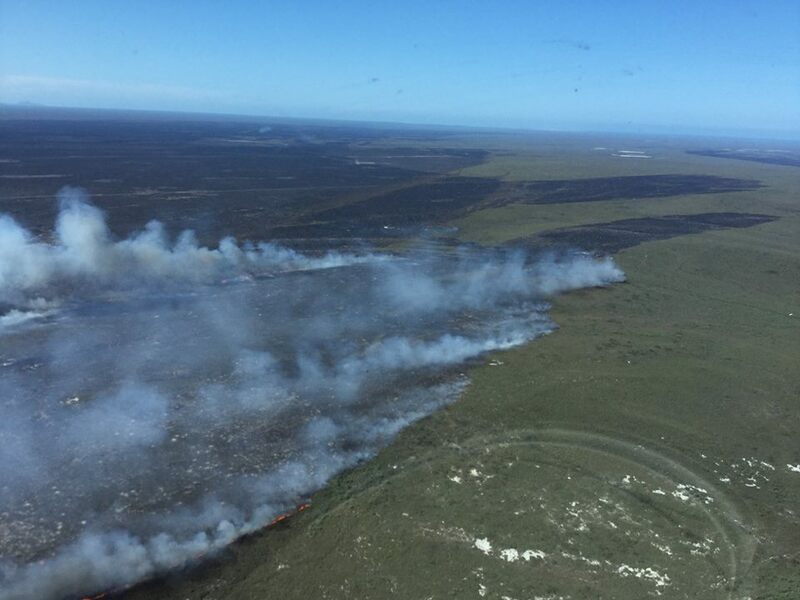 Today four water bombers have been deployed to the fires to assist with extinguishing hotspots and strengthening containment lines. 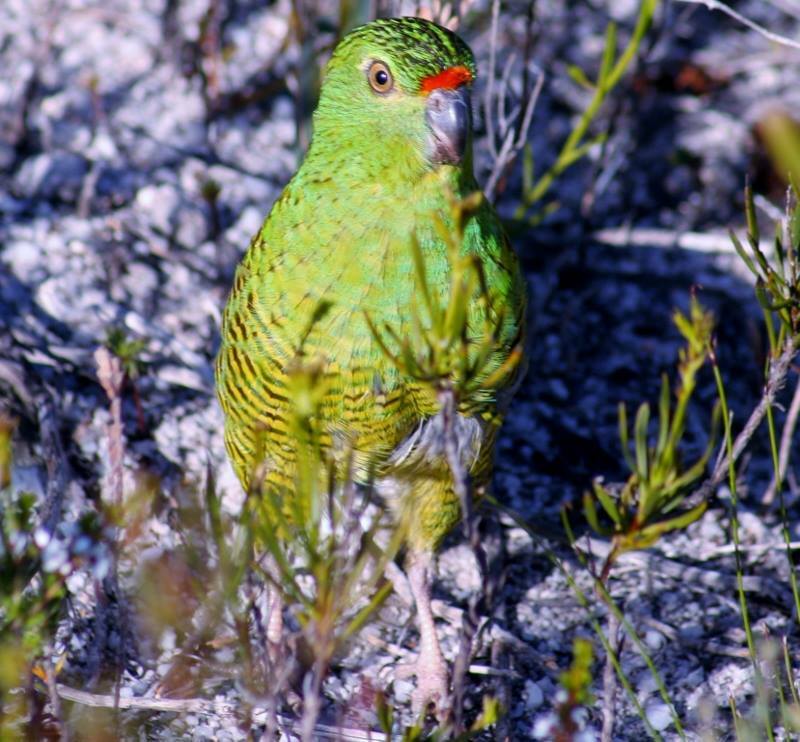 Initial estimates by the Western Ground Parrot staff are that approximately 7000 hectares of known ground parrot habitat has burned. The impact on the birds is unknown, and will be the focus of survey efforts once the area has been declared safe for the Department of Parks and Wildlife Western Ground Parrot team to access. The Western Ground Parrot (Pezoporus flaviventris) is one of the more unusual members of the parrot family. As the name implies it spends much of its time on the ground where it also builds its nest. World-wide there are only four other species of ground-dwelling parrots, the almost extinct Night Parrot, New Zealand’s Kapako, the Antipodean Island Parrot and the Eastern Ground Parrot. The decline of the Western Ground Parrot can be attributed to the loss of habitat through broad-scale historical clearing. With so little habitat left other threats such as predation by the European fox and feral cat and inappropriate fire regimes are vitally important to manage to maintain and recover the few remaining birds. Surveys carried out in the 1980s raised alarm when Western Ground Parrots could only be located in a few locations along the South Coast. By 1990 it was estimated that just under 380 parrots survived in the wild.